The event will be held on the 18th and 19th of September in the Technological Park of San Sebastián. 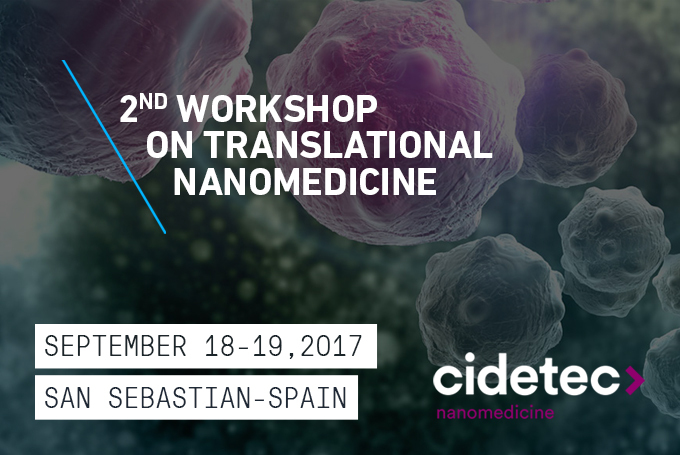 Organized by CIDETEC Nanomedicine, the workshop will make public with the aid of six working session representatives of the bodies that form part of the consortium that develops the project, as well as other experts in the field of Translational Nanomedicine will expose the knowledge generated around the NanoPilot project. The different sessions will address issues ranging from the early stages of research up to advanced characterization techniques and its regulatory framework. One of the sessions will be specifically dedicated to the equipment and capacities of the GMP pilot plant, including the possibility of visiting the plant itself at the CIDETEC facilities. Nanopilot is a four-year project that aims to install a pilot plant for the production of polymer-based nano-drugs operating under GMP (Good Manufacturing Practice) conditions. The consortium includes 4 research groups, 3 SMEs and 2 industrial groups, all of them with vital history of generating knowledge and innovation in their respective fields of action.